We spoke to brand owner Neeraj Kakkar about the shift in focus from individual to shared consumption and the challenges involved. Paperboat, the ethnic drinks brand from Hector Beverages, has launched its existing flavours Aamras and Anar in Tetra Pak's distinctive tetra prisma aseptic (TPA) 500 ml cartons with the re-sealable screw cap. Priced at Rs 55 and Rs 75 respectively, these variants will be available across the country at modern trade (MT) stores. The brand already has 11 varieties of drinks in the market with its existing 250 ml doypack (a sealed plastic bag that is designed to stand upright and used by ready-to-drink beverages). It plans to release the rest of the flavours in 500 ml cartons in the market soon. Kandarp Singh, managing director, Tetra Pak, South Asia, says in a press release, "The TPA 500 ml package with the re-sealable screw cap will give consumers not just a superior drinking experience from a modern and distinctive pack, but also many opportunities to share Paperboat's delicious ethnic flavours with special people in their lives. We are happy that this pack will help further strengthen Paperboat's brand appeal and offer differentiation on the shelves." Neeraj Kakkar, founder and chief executive officer, Hector Beverages, tells afaqs! 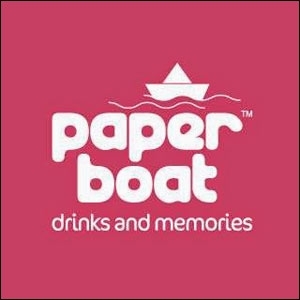 the reason behind launching Paperboat in 500 ml cartons. What made you take this decision? Was it led by consumer research or consumer feedback? Like hawks, we sit on the edge of our seats and listen to each and every (piece of) feedback that comes from our consumers... Our consumers just didn't have enough of us, and would always tell us how much happier they would be if we gave them a larger pack to take home. How could we say no? Are you looking to target a new demographic through this offering? How different would this TG be from that of your grab-and-go 'single consumption' 250 ml offering? We are not predicting a massive drift from our existing TG. A lot of our existing consumers would carry six to twelve doypacks home, but would keep asking for larger packs. They are going to be very happy to see that we have responded. And yes, we should get a new set of people to buy Paperboat - those who only buy large packs from modern trade outlets. Paperboat loyalists are used to the curvy bottle - shape, design, look and feel. What went into designing this new pack? What obstacles did your team face while working on the cosmetic bits and how did you overcome them? ... In terms of design restrictions, the team faced challenges when it came to colours. Paperboat's personality is resonant in the colours on the pack. On a doypack the colours react in a different way. But the substrate on Tetra Pak is different. Ensuring that the colours are a copy of a doypack was a challenge. Working around the back of the pack was challenging, yet fun. We got a window to illustrate small memories which are very close to the fruit. This gave us another platform to tell a new story. It was extremely important for the design team to ensure the pack is very close to the doy version as that is a very strong identity for the brand and going far away from it would have been a huge risk for us. How do you plan to promote this new pack? What media channels will be mobilised for this? Along with Tetra Pak, we plan to spread the news across our social channels. We are selling on Amazon as well, so more people have access to this version. This pack will be available across MT stores with a large display space. Now, your competition has also changed. Existing players in the 500 ml or 'shared consumption' segment (Frooti, Tropicana, Real Juice, etc.) are now competition for you. How will you differentiate? Are you only banking upon Paperboat's loyalists to drive initial trials for the new pack? Our biggest point of differentiation is that we make authentic recipes. Our drinks are free of preservatives and made with the best quality spices and fruits - just how you'd make it at home. Shripad Nadkarni, co-founder, Fingerlix (food startup) and MarketGate (brand consultancy), and investor, Hector Beverages (marketer of Paperboat), says, "I think what the brand is doing is just catering to an occasion which is in-house. Fundamentally, in homes, the juice occasion is very high compared to carbonated soft drinks, and it is more convenient to have multi-serve packs because it gives you terrific economy. I think that is the fundamental reason why the brand's gone into this." He adds, "Paperboat is defined less by its style and more by the brand. It's all about the authenticity. Right now, it is only available in single serve packs, but now, it will help more in-home occasions. I am convinced that it will replace Maaza and Frooti in the fridge." Ramanujam Sridhar, founder and CEO, brand-comm, a brand consultancy, says, "The takeaway is that the brand is improving its acceptance across segments. In every category, whether it is confectionery or snacks, there is one prime user who takes the packet home. In the case of confectionery, it is children, while it's teenagers in the case of snacks. The other adults in the family consume it once the products are brought home." He adds, "In this case, the youth who have been individually consuming Paperboat are expected to take the larger pack home so that other family members can consume it as well. As in the case of other fruit beverages, flavours such as Aamras or Jaljeera that have a wider appeal, are likely to be consumed by the entire family, while something like Rasam, may or may not have appeal across ages and segments." Brands have to constantly upgrade with new flavours and pack sizes, Sridhar's guess is that Paperboat's move is an indication of its wider acceptance. "It's a good move which should certainly help the brand both medium, as well as long-term."